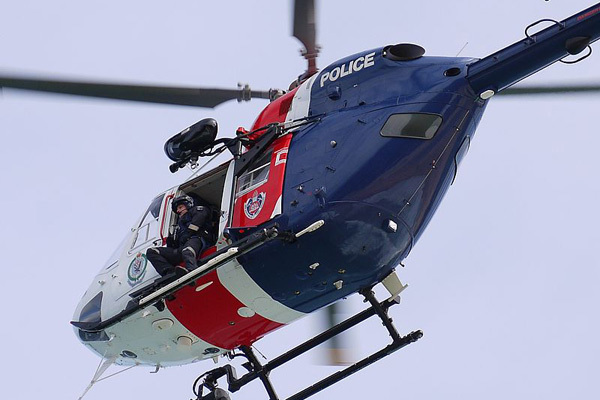 The BK117 multi-purpose helicopter is in service with the Western Australia Police Air Wing. Image courtesy of Nachoman-au. The 15 Squadron of the South African Air Force operates BK117 helicopters. Image courtesy of NJR ZA. The BK117 has been in service with the NSW Police Air Wing since December 2003. Image courtesy of NJR ZA. Image courtesy of Highway Patrol Images. The BK117 helicopter is powered by two Avco Lycoming LTS101 turboshaft engines. 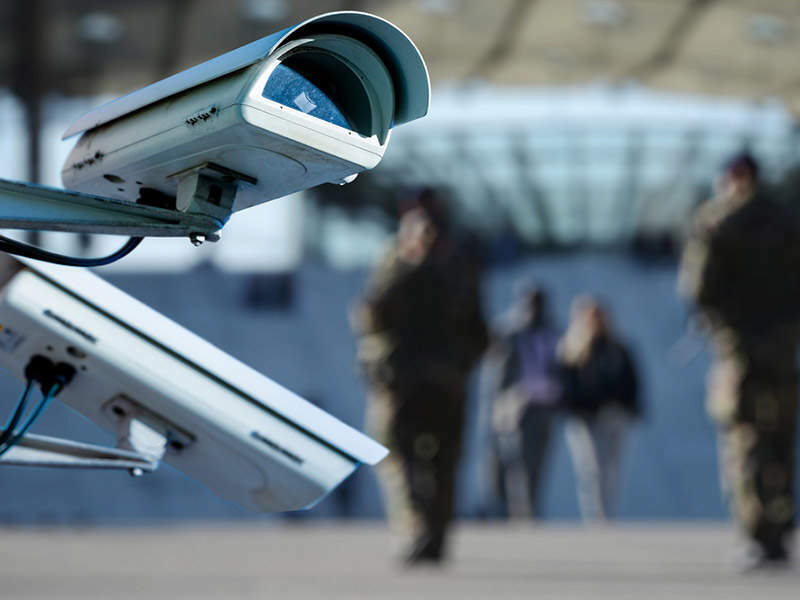 Image courtesy of Highway Patrol Images. The maximum take-off weight of the BK117 is 2,800kg. Image courtesy of NJR ZA. BK117 is a twin-engine multi-purpose helicopter jointly developed by Kawasaki Heavy Industries and Messerschmitt-Bolkow-Blohm (MBB; now Airbus Helicopters). The helicopter is in service with a number of government authorities. The helicopter is used to conduct firefighting, search-and-rescue, patrol, emergency medical evacuation, broadcasting and police missions. It can also be deployed for transportation of cargo and passengers. The BK117 performed maiden flight in June 1979 and the first helicopter was certified in 1982. MBB manufactured the rotors, tail boom, hydraulic systems, flight controls and stabiliser of the helicopter, while Kawasaki delivered the landing gear, fuselage and transmission systems, and the main gearbox. The helicopter received a series of upgrades and enhancements to provide rescue services for the French Government in 1990. AW109 Power is a twin-engine, multi-purpose light transport helicopter designed and developed by AgustaWestland. The BK117 helicopter is developed based on the Bo105 light, twin-engine utility helicopter manufactured by MBB, and incorporates enhanced fuselage and rotor aerodynamics for high-performance characteristics. The helicopter features a spacious cabin, compact body and superior mobility. The cabin has a volume of more than 3.2m³. It is fitted with large clamshell doors at the rear. The BK117 accommodates one crew and up to seven passengers. It has a length of 13m, height of 3.96m and width of 2.7m, while the rotor diameter is 11m. The empty weight of the helicopter is 1,520kg and the maximum load carrying capacity is 3,585kg. The BK117 is fitted with an automatic pilot system, rescue winch and rescue winch monitoring camera. The nine variants of BK117 include BK117A-1, BK117A-3, BK117A-3M, BK117A-4, BK117B-1, BK117B-2, BK117C-1, BK117C-2 and BK117-850D2. The firefighting variant is used for lifesaving and disaster relief operations. The emergency medical service (EMS) variant is equipped with Bucher EMS system, a search light, an external loudspeaker, and a global positioning system (GPS). The BK117-850D2 high-performance variant, introduced in 2010, is powered by Honeywell’s advanced 850hp engines. The helicopter secured Supplementary Type Certificate (STC) approval from the European Aviation Safety Agency (EASA) in March 2012. It was jointly developed by Airwork (NZ) and Flight Structures. The BK117 multi-mission helicopter is powered by two Avco Lycoming LTS101 turbo-shaft engines, each developing a power of 600shp. The helicopter has a maximum speed of 275kph, while its range is 660km. The maximum hover ceiling and service ceiling of the helicopter are 3,048m and 5,181m respectively. The maximum take-off weight is 2,800kg. 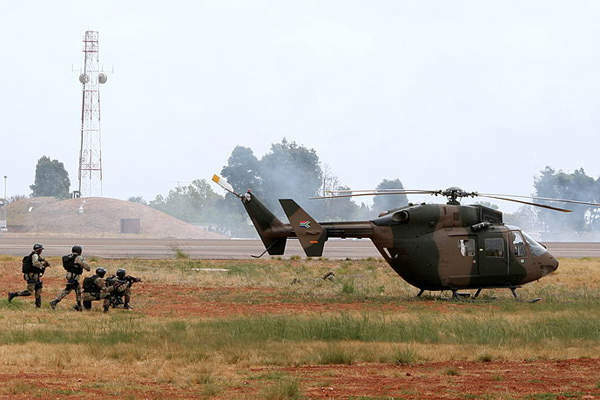 The South African Air Force (SAAF) 15 Squadron deployed three BK117 helicopters in Ciskei in 1983, two in Venda in 1985, two in Transkei in 1986 and another two in Bophuthatswana in 1987. "The firefighting variant is used for lifesaving and disaster relief operations." The BK117 helicopter has also been in service with the Fire and Rescue New South Wales (NSW) and NSW Police Aviation Support Branch since December 2003. The helicopter is used for providing specialist resources for tactical operations, forensic services, bomb disposal, chemical, biological and radiological detection / decontamination, counter-terrorism, and urban search and rescue. Kawasaki secured an order from the Shimane Prefectural Government for a BK117C-2 helicopter in October 2011. The helicopter was delivered in December 2012. It is deployed by the Shimane Air Rescue Team to execute fire fighting and disaster relief missions. In June 2013, the Gifu Prefectural Government placed an order for a BK117C-2 to perform disaster relief operations for the Gifu Air Rescue Team. The Kobe municipal government placed an order for a BK117C-2 in October 2013. The helicopter will be deployed in disaster relief operations. The BK117B-2 helicopter is also operated by the Western Australia Police Air Wing and Westpac Life Saver Helicopter.